F+F Mechanical Company was founded in 1982 by Mario Ferrucci as a small plumbing and pipe fabrication shop. Mario came to the USA from Italy in 1968 and worked in a factory. Because he knew how to weld, Mario joined the union and worked his way up the ladder for a local contractor. In 1982 he started his own business with a truck and hired an 18 yr old assistant. That assistant still works for F+F Mechanical. F+F Mechanical is a full service contractor with extensive experience providing mechanical contracting solutions for commercial and institutional projects throughout Connecticut. Now the company is a second generation, family-owned business. Our leadership continuously seeks to improve processes and expand capabilities while maintaining our reputation for integrity, hard work, and a commitment to excellence. "We knew we needed to embrace technology," said John Ferrucci, Vice President of F+F Mechanical. 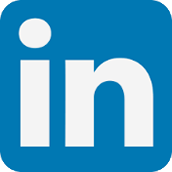 "We needed to move into pre-fab units and modular construction. 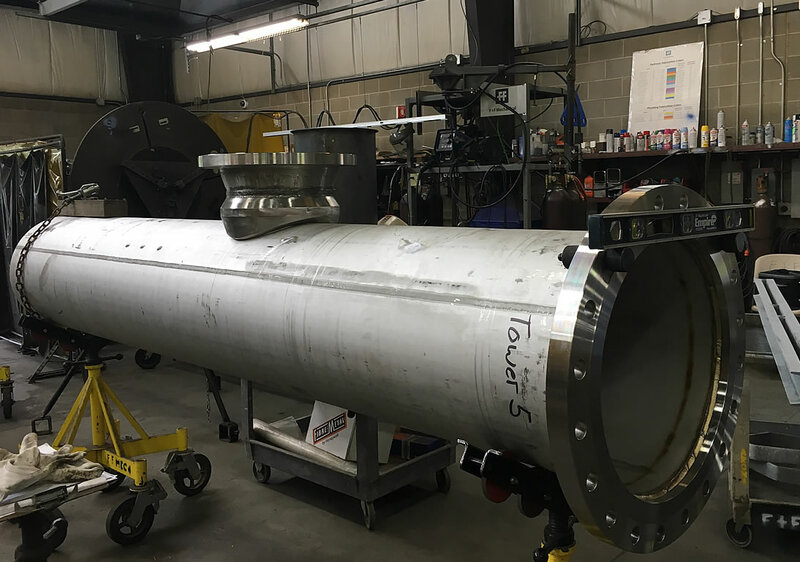 As we started this process it quickly became clear that pipe fabrication was taking too much time and eating into our budget - piping was the bottleneck to our progress. We had four men dedicated to cutting, beveling and prepping pipe." 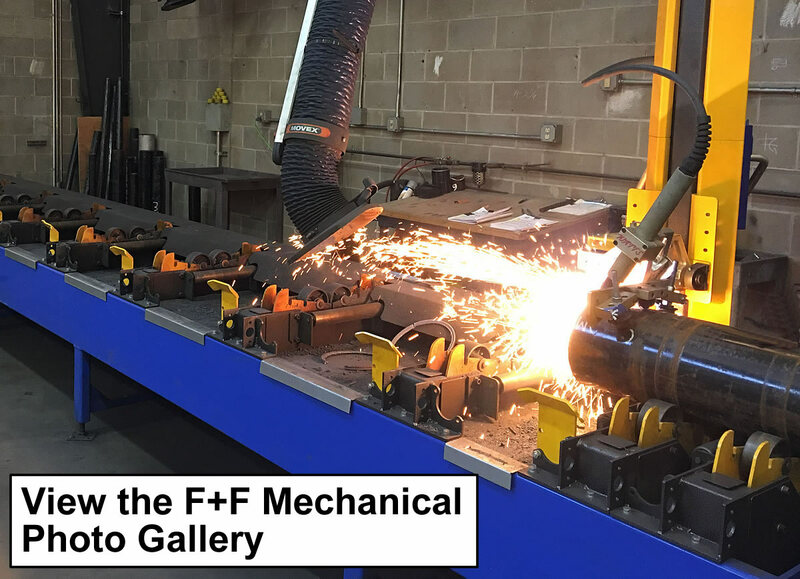 Ferrucci continued, "We visited a few large fabrication shops that were using the advanced technology we were considering and it became apparent that we had to upgrade our capital equipment. We were looking at Watts-Mueller and another manufacturer. Everyone we talked with urged us to look at Watts-Mueller." "In 2017 we purchased the Watts-Mueller W-242 with a 25 ft bed and a conveyor outside the building for pre-loading and feeding pipe into the building," said Ferrucci. "We went from two guys working all day cutting pipe every single day to cutting pipe two days a week. 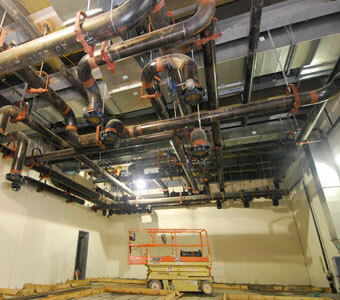 The labor savings alone justified the purchase of our new Watts-Mueller pipe cutting machine." "We were buying prefab T's. The accuracy of the Watts-Mueller machine allowed us to cut our own T's. This reduced our materials cost significantly and became a benefit we had not calculated." "Another cost saving benefit was gained efficiency with welding X-ray joints," continued Ferrucci. "We had been using oxy-fuel. The quality of beveling with the plasma torch on the W-242 improved the speed and quality of completing X-ray joints; cleaner cutting and clean beveling reduced the number of rewelds on joints." Ferrucci also offered some comments on why F+F Mechanical selected Watts-Mueller: "For the quality of the machine and all the features, the price was competitive, but what got my attention was that every other mechanical company I asked raved about Watts-Mueller machines." John grew up working in the family business. After receiving a BA in History from Fordham University, he completed the Trane Graduate Engineer Training Program and earned several occupational trade licenses in Connecticut to join the company full-time. John is responsible for providing executive supervision for every project serving as a liaison with clients, vendors and subcontractors. 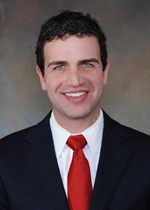 He serves several professional organizations including MCAA, the Mechanical Contractors Association of CT, the Associated Sheet Metal & Roofing Contractors of CT, Plumbing & Pipefitters Local 777 and Local 40 Sheet Metal Workers. "I attended the annual MCAA conference," Ferrucci continued, "and Watts-Mueller had a booth, so I introduced myself to David Carr and told him about our needs. Working with David Carr was really great. He has so much knowledge of the industry and honestly told me what we really needed, steering me away from the more expensive options I thought we needed." "Watts-Mueller training was great," said Ferrucci. "After we installed the machine two of our machinists (foreman and CAD operator) did webcast training to learn the software. On the third day our guys were cutting pipe." "We rarely have support issues. We had one issue; we took photos and sent them to Watts-Mueller, got on the phone with one their technicians and within a day he walked us through a fix. With the help of Watts-Mueller Support we were up and running in one day which is excellent."